Xena’s relationship with her sidekick Gabrielle won’t be strictly platonic in the reboot of the Lucy Lawless-led series that “The 100” writer Javier Grillo-Marxuach is currently developing for NBC. Grillo-Marxuach, a former “Lost” writer, addressed the issue during a Tumblr Q&A last week, and promised that the implied romantic relationship between the two female characters from the syndicated ’90s series “Xena: Warrior Princess” would be made explicit in his reboot. 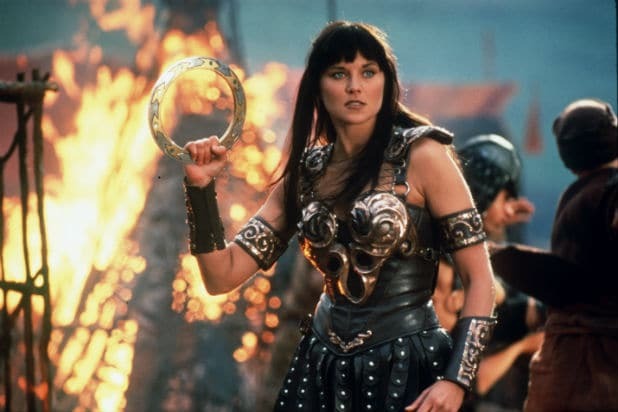 “There is no reason to bring back ‘Xena’ if it is not there for the purpose of fully exploring a relationship that could only be shown subtextually in first-run syndication in the 1990s,” Grillo-Marxuach wrote. Grillo-Marxuach recently came under fire as the writer of an episode of “The 100” that saw one of the show’s lesbian characters killed off. Fans of the CW drama were outraged by what was seen as the latest instance of TV series treating gay and bisexual female characters as expendable. The writer has addressed some of the criticism on his blog and distanced himself from it going forward, making clear he no longer writes for the show.